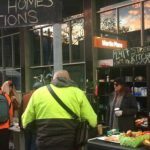 In an unprecedented move, Housing NSW has “throw out the rule book” and offered housing to the rough sleepers who’ve been staying overnight at Sydney’s 24-7 Street Kitchen and Safe Space. On Saturday, City of Sydney council workers and NSW police turned up at Martin Place with a number of dump trucks to evict dozens of people who were staying at the setup that’s been providing food and shelter to hundreds of the city’s homeless for the past six months. 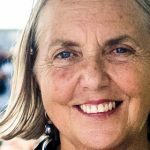 During the eviction, Gary Groves, executive district director of Housing NSW, informed organisers, as well as the office of Australian Greens senator Lee Rhiannon, that the department would provide temporary accommodation to those staying there, and eventually they’d be housed permanently. Sydney’s 24-7 Street Kitchen and Safe Space established itself beneath the construction hoardings on the side of the old Westpac building at 60 Martin Place in mid-December last year. Since then, the setup has been providing around 400 to 500 meals a day to those in need in the CBD. Along with meals, the operation is also providing a secure place to sleep for around 38 to 65 of Sydney’s homeless population a night. Indeed, the operation was initially established to protect vulnerable homeless women who’d reported being woken up on the street at night with men trying to sexually assault them. Once Mr Priestley heard these accounts, the street kitchen and safe space was rolled out within 48 hours. 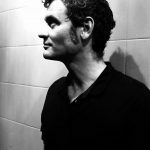 By the time the council rangers and police turned up to remove “the accumulation of items” belonging to the operation, those occupying the space had already moved across to the other side of Martin Place and set up the kitchen outside the Reserve Bank building, according to Mr Priestley. Mr Priestley said that the street kitchen is still running 24 hours a day, but due to the provision of the temporary accommodation, they only had five people sleeping there on Saturday night, and three on Sunday. This was not the first time the City of Sydney attempted to shut down the operation. Between last December and March, the council’s homelessness unit raided it on four separate occasions. Homelessness is an ever-growing problem in Sydney, which has been ranked the second most unaffordable city in the world. 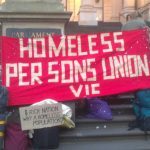 The latest City of Sydney street count found that in February this year there were 948 homeless people in the city alone, representing a 28 percent increase since 2011. On the night of the count, the city’s crisis and temporary accommodation was at 91 percent capacity, and yet there were still 433 people sleeping out on the streets. There’s a glaring lack of social housing in NSW, with over 60,000 people on the waiting list state-wide. Those on the list can wait for up to 10 years before being provided with accommodation. Housing NSW is an agency of the Department of Family and Community Services (FACS). A FACS spokesperson told Sydney Criminal Lawyers® that since March 23 the department has placed 24 rough sleepers from Martin Place into long term public housing. And as part of the 2017 budget, the state government has allocated $20 million in funding over the next four years to expand transitional housing and supports for rough sleepers. This is set to include an additional 120 properties and to help a minimum of 255 people. A spokesperson for the City of Sydney explained in a press release that council staff will continue to visit Martin Place to ensure rough sleepers are provided with accommodation and services. “Although homelessness and social housing are the responsibility of state governments, the City has committed to providing three years of funding worth a total of $3.5 million to FACS,” the spokesperson outlined. 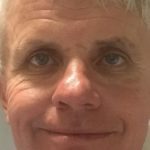 “It’s the City’s policy not to move on rough sleepers – everyone has the right to use our public spaces – but the construction site and hoardings are not a safe or sustainable housing option for people sleeping rough,” the mayor wrote. By 9 pm on Saturday night, Lendlease building site workers were boarding up the final section underneath the hoarding where the street kitchen and safe space had been operating. But organisers are not about to shut it down. Even though the housing department has provided accommodation for the people that were residing at the safe space, the street kitchen still had around 200 people show up on Sunday night to be fed. 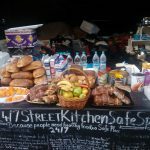 Sydney’s 24-7 Street Kitchen and Safe Space has an ongoing call-out for donations. They can be contacted on 0410 722 000 or through their Facebook page. And members of the public are welcome to drop off donations at the site directly.